A key cast member is leaving DC’s Legends of Tomorrow. Deadline reports Victor Garber is leaving the CW series during season three. Garber, who has been with the DC Comics drama since season one, plays Martin Stein (aka Firestorm). 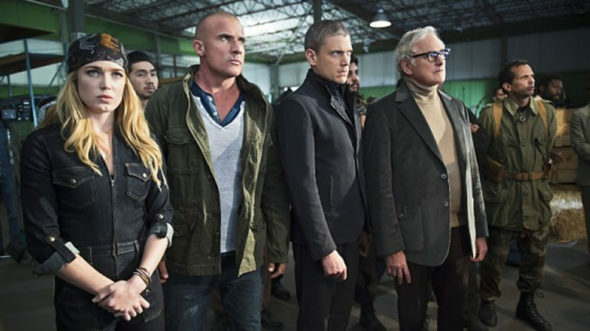 The cast also includes Brandon Routh, Arthur Darvill, Wentworth Miller, Dominic Purcell, Caity Lotz, Franz Drameh, Nick Zano, and Maisie Richardson-Sellers. Garber is reportedly leaving Legends of Tomorrow for a stint on the hit Broadway musical Hello, Dolly!. It’s unclear when exactly Garber will leave the The CW series, but it will be sometime during the show’s current third season. What do you think? Do you watch DC’s Legends of Tomorrow? Will you continue watching without Garber? What happens to his other half, Jefferson aka Franz Drameh?? They’ve already pulled a switch when Robbie Amell left and they made a comment about how it would be difficult to find another half… Then they found Jefferson. I think I’m done if they pull this again. they can bring him back thru or from another universe, at a later time.!! its the wave rider remember.?? Why is he leaving? His choice or CW killing him off? Too bad. He was the only actor on there who was competent.